Sometimes a room demands complete flexibility from its shade system. Vertical Blinds are the perfect choice when you need to have perfect control over both light and privacy levels… all at the twist of your wrist. 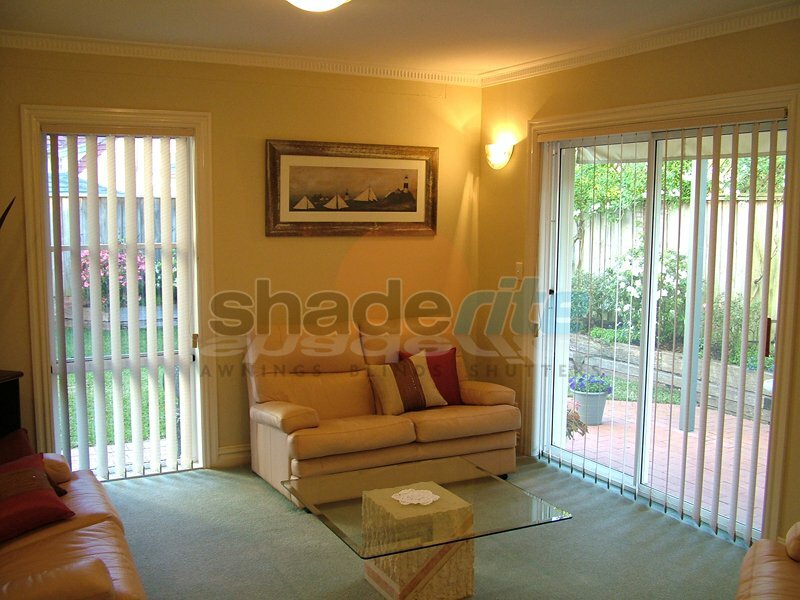 Vertical Blinds offer the perfect combination of functionality and design making them easy to integrate into any home. The vertical slats are easily adjusted to provide precise control of both light and privacy. Verticals are an ideal solution for covering sliding doors as they are easily pushed to one side allowing people to enter and exit with ease when the door is in use. Vertical blinds are a cost effective window covering solution and are available in a wide range of fabrics including block-out, translucent & solid PVC. 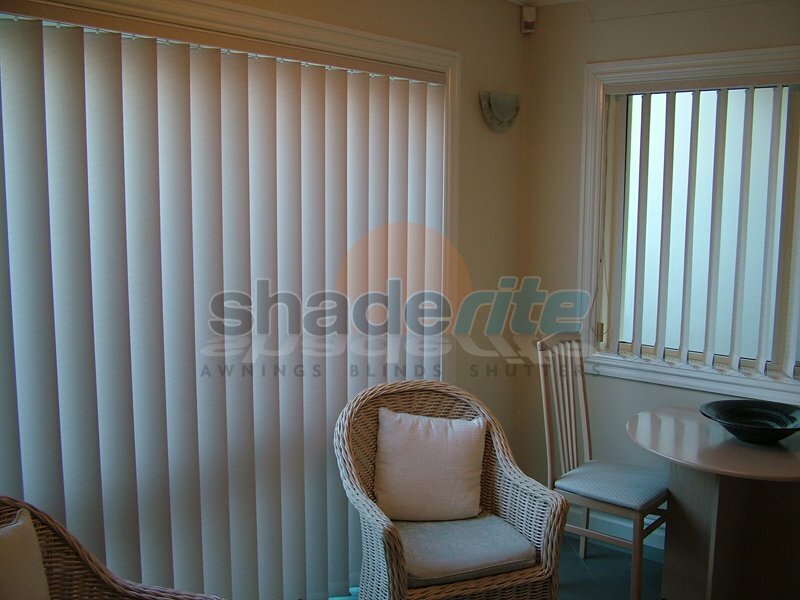 Vertical blinds can be cord or wand operated and are available with or without bottom linking chains. 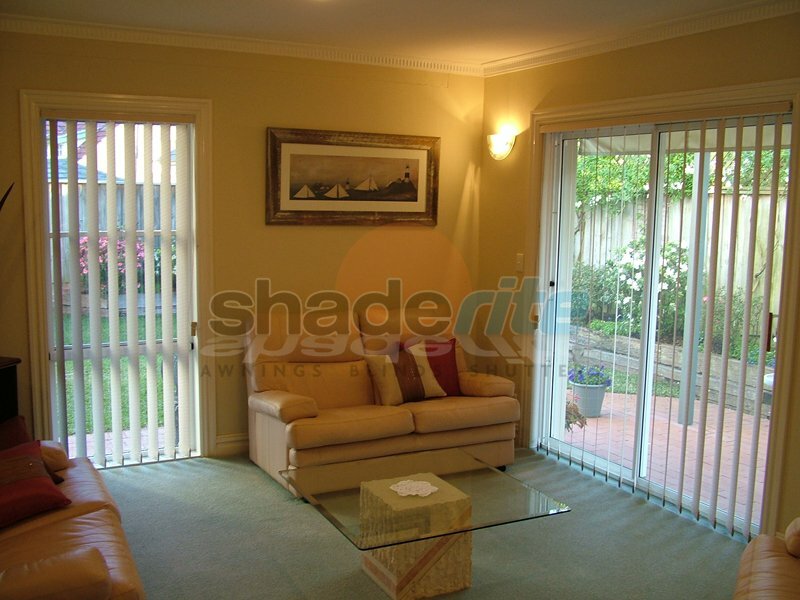 For an obligation free quote on bringing a made-to-measure Vertical blinds solutions to your home, call us today. 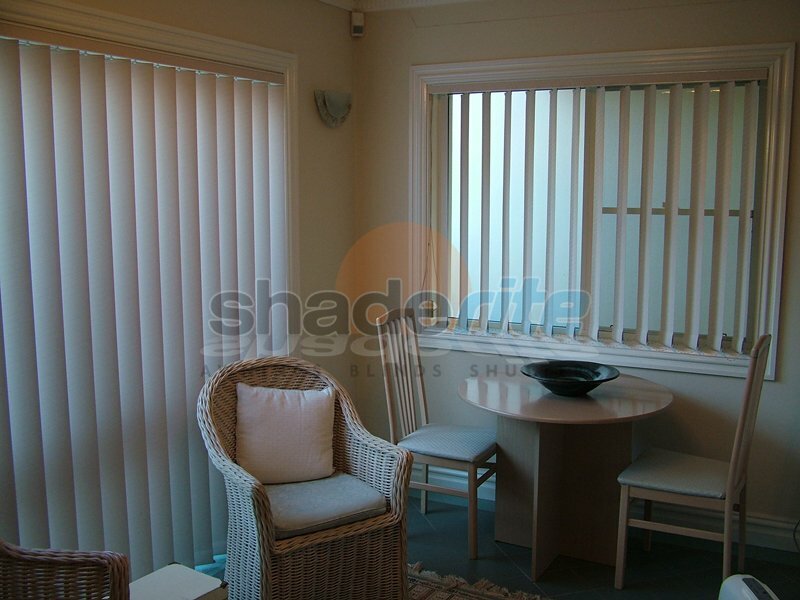 Vertical Blinds are a classic blind choice and remain as popular today as they have ever been. 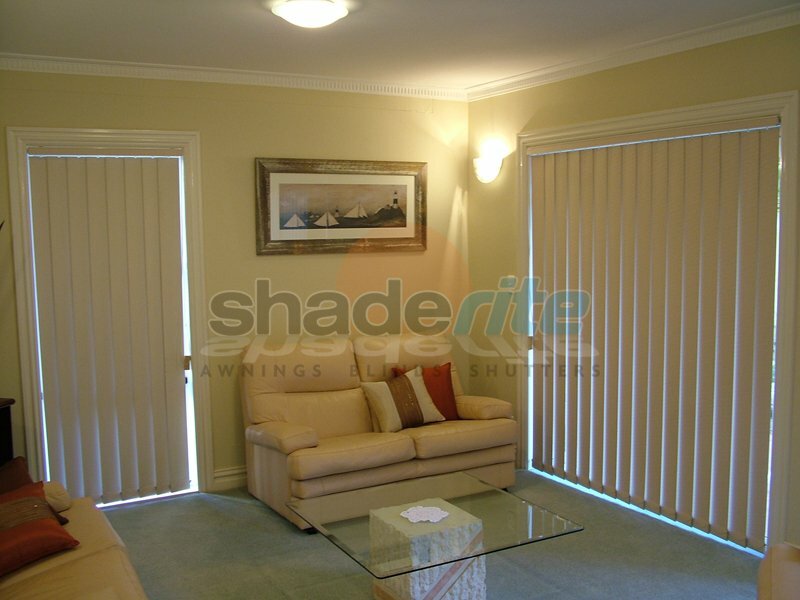 At Shaderite, we specialise in creating custom Vertical Blind systems in a full spectrum of styles, colours and operating mechanisms. For an obligation free measure, quote and consultation on all new Vertical Blinds projects, contact us today.